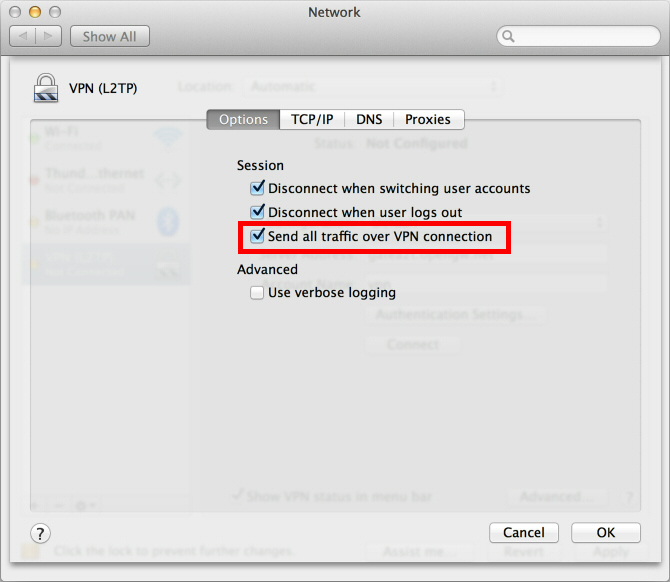 Here's how to connect to a Public VPN Relay Server VPN gateway using the L2TP / IPsec VPN Client, which is built into Mac OS X. In this manual, all screenshots are taken on Mac OS X Mountain Lion. Other versions of Mac OS X are similar to the settings, but there may be minor differences in user interfaces. These screenshots are in the English version of Mac OS X. If you use a different language, you can easily customize it by specifying the following instructions. 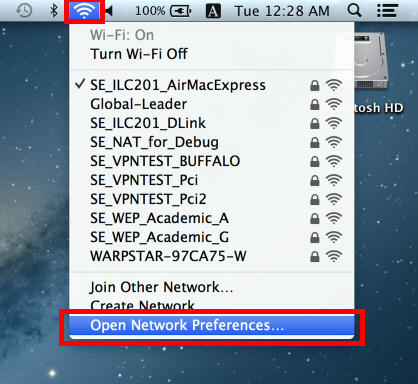 Click the network icon in the upper right corner of the Mac screen. Click "Open Network Settings ..." in the menu. Tap the “+” button on the network configuration screen. 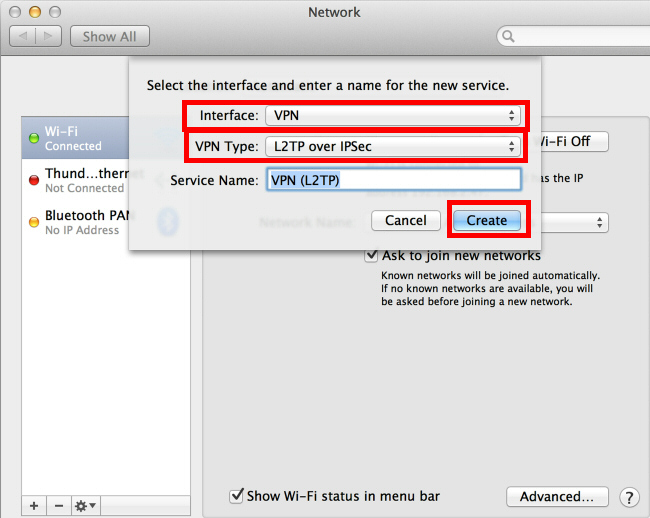 Select "VPN" as "Interface", "L2TP over IPsec" as "VPN type" and click the "Create" button. A new VPN L2TP configuration will be created and the configuration screen will appear. Then click the "Authentication Settings ..." button. 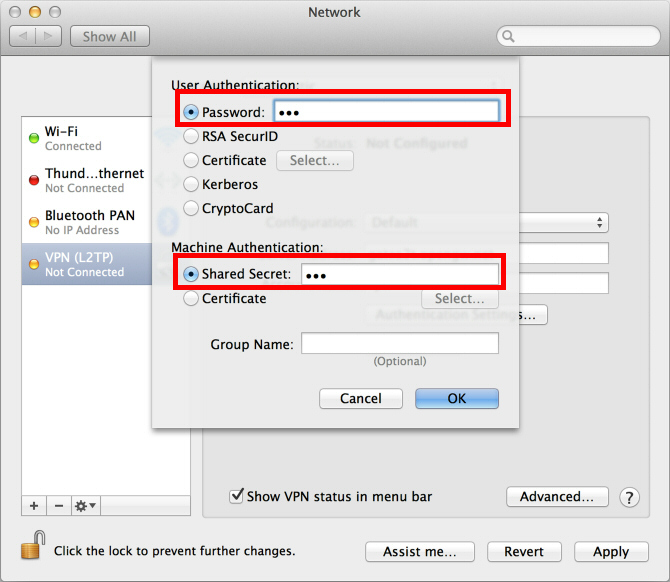 Specify the pre-shared key (in some versions of the Shared Key, IPSec key) "RocketVPN" - without quotes! After entering them, click "OK". 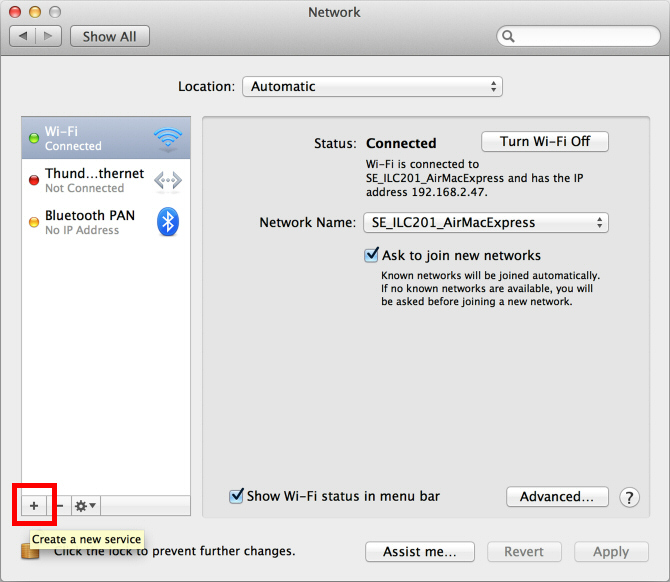 After returning to the previous screen, check “Show VPN status in the menu bar” and click on the “Advanced ...” button. Advanced settings will appear. Check "Send all traffic through VPN connection" and click "OK". On the VPN connection settings screen, click the Connect button to launch the VPN connection. You can launch a new VPN connection by clicking the Connect button at any time. 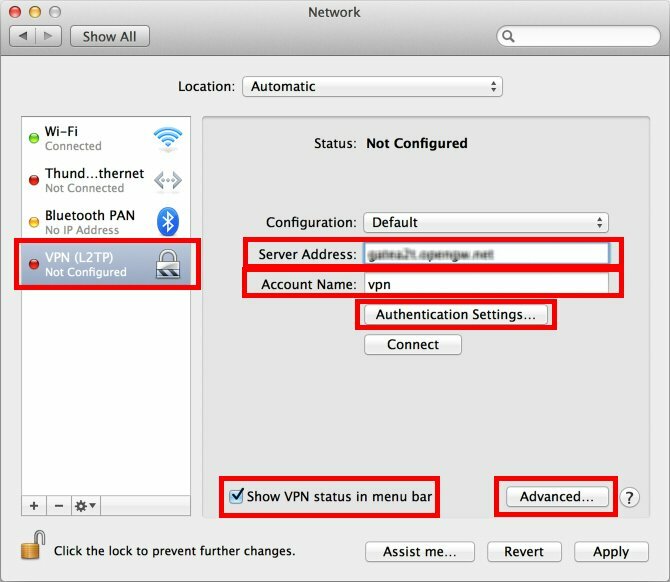 You can also initiate a VPN connection by clicking the VPN icon in the menu bar. 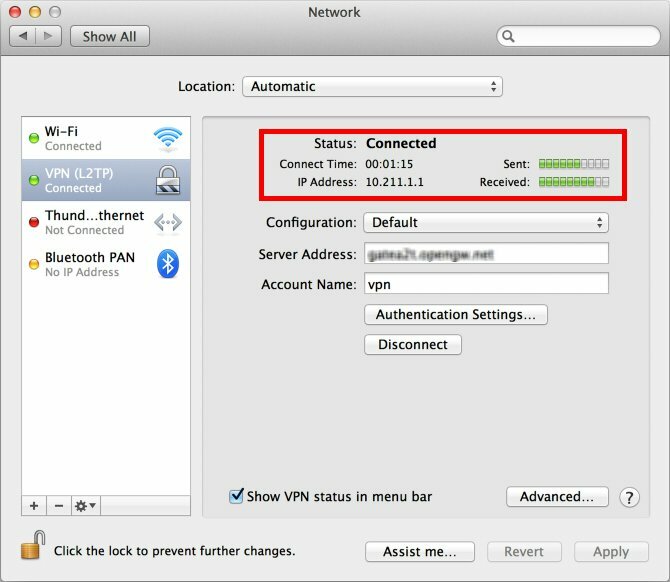 After the VPN connection is established, the VPN connection settings screen will become as shown below, since the “Status” will be “Connected”. Your private IP address in the VPN and connection time will be displayed on the screen. As long as the VPN is established, all communications will be transmitted through the VPN server. You can access any local servers and workstation on the target network. Do these settings for each server you want to use, and then simply switch between them.